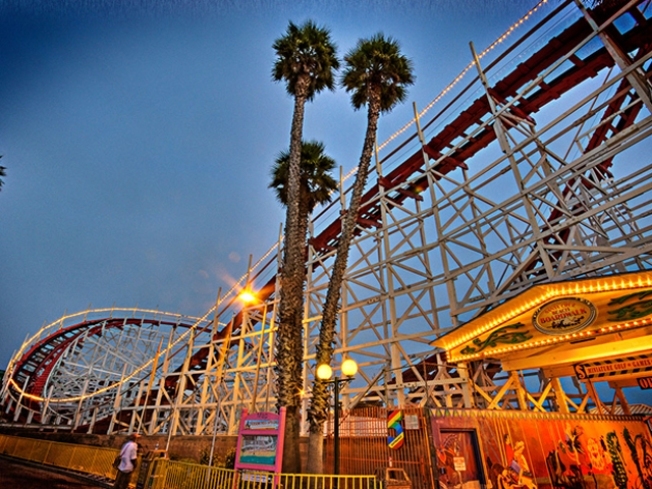 It may not be the best, but the Santa Cruz Beach Boardwalk is really close. America's first boardwalk is also its best. That's the word from National Geographic, which has named Atlantic City's boardwalk the best in the nation. Another New Jersey boardwalk, in Wildwood, took 10th place. National Geographic calls Atlantic City "the grandfather of boardwalks," adding that it anchors the seaside gambling resort. New York's Coney Island came in second, followed by Myrtle Beach, S.C.; Ocean City, Md. ; Venice Beach, Calif.; Rehoboth Beach, Del. ; Santa Cruz; the Sandwich boardwalk in Massachusetts; Virginia Beach, and Wildwood. Atlantic City's boardwalk was built in 1870 as a way to keep beachgoers from tracking sand into oceanfront hotels.